Good customer service and great location. 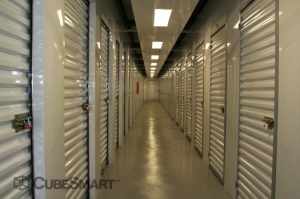 I like this storage facility because people don't bother you, and everyone is very nice! Things was good, price good, people good. Everything was good,everything was fine,the customer service was good. 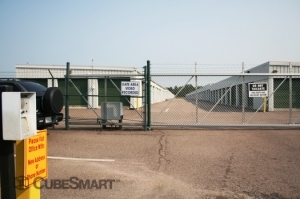 When I need off-site storage, I go to Larry at CubeSmart, though I have been doing business with him when his location was known as UStore. This is my third time renting there. Quick and fast service at the front desk! The customer service before and after commuting to the usage was excellent. The customer service before and after my commitment was excellent. I would highly recommend the facility. The only negative I found was the cost of insurance. We should be able to choose a smaller insurance with a smaller amount or at least a reduction in the admin fee. Once I pay the initial admin fee the following months should be free or reduced. A no hassle, pleasure doing business. I've used this facility three times in the past 7 months (I still have two units there) and they have always been easy to work with, move in and paperwork etc and answering any questions. 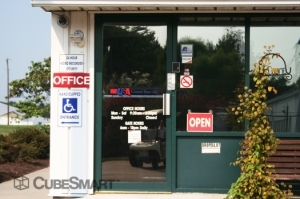 The price is right , location is convenient and facility secure. Very easy to work with on all levels. I love the location it's really close and convenient. It's clean and quiet and just what I needed. great staff simple storage place. Great storage for great price! Completely satisfied with the storage unit. Friendly manager and couldn't beat the price. I looked at storage all over Richmond area and they had the lowest price on the size unit I needed. It was safe, quick, and easy. I would recommend this place to others. 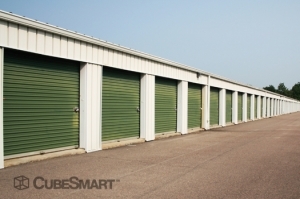 I recently relocated to Richmond and found a need for a storage unit as mist older homes have no garage and damp basements- and most apartments do not have in building storage available to rent. Arrangements for reservation were made by phone and manager called to tell-confirm- what a great welcome. They found me a convenient unit that was easy to unload the contents of a 26' uhaul into. 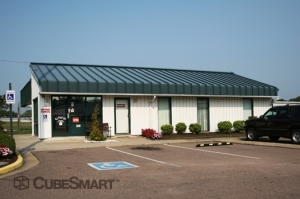 Very clean premises and unit and terrific value. The customer service rep, A J, was professional, helpful and patient with my moving circumstances. He very pleasantly walked me through the registration process while I was driving because I could not make it before the facility closed. I don't know what I would have done without him. A HUGE THANK YOU! At move in, Manager was extremely helpful, he even loaned me a pad lock in the interim. Very grateful!!!! Best customer service, Thank you! Always super friendly, convenient...highly recommend it! A.J. is an excelled service provider. He was very helpful and kind. Thank you so much. Give the guy a raise. Place is well lit at night. Staff could be friendlier. Front desk staff could be friendlier, although he was efficient. Unit was clean and a decent price. $12 insurance fee every month, so account for that. Very professional staff and a seemingly safe facility. Lightbulb in the unit didn't work, even when changing the lightbulb, so there may be some electrical problems, but that was really the worst of it. I needed a storage unit upgrade at the last minute and they took care of me. Very personable front desk person who went out of his way to get us started. Friendly manager, clean place, good price. The place was nice and the manager worked with me on price and options. 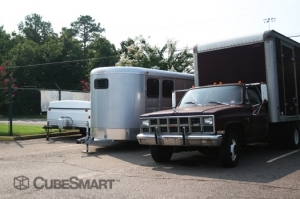 Helped me figure out what size was best by calculating floor space and showing me two different units. Definitely satisfied! I was super impressed by the customer service. They really helped me pick out the perfect space to store my belongings. 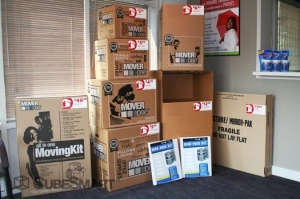 This company made moving into the storage unit extremely easy. Overall, the pricing was not too bad and the customer service was excellent. I would recommend this company to a friend. Prompt service, helpful staff. Got me hooked up with the unit I wanted in no time at all. I like everyone and everything about these guys.That's basically all that needs to be said! Professional and very pleasant customer service representative. My representative was super helpful! I was so satisfied with the level of service. He was thorough and pleasant. Awesome experience. The customer service was excellent. All my questions were answered and the manager really made my experience a positive one. Very nice, helpful people. Best customer service. The customer service was excellent. Very friendly and available. The people who helped me out was great, and treated me as a person rather than just another client! I needed some storage over the summer and all the places I looked at were really expensive until I found you guys. The guy who worked there was one of the nicest and most accommodating workers I have ever met and there was a lot more room than I thought. Overall it is very good. great experience with staff for a monday. The staff was friendly. With their help I managed to get my paperwork done fairly quickly. Ended up moving in right away. Staff were friendly and helpful. Everything went as expected and all of the people were dealt with were courteous, pleasant, efficient, and patient when we couldn't get the security gate opened. Only complaint is that the ceiling light in our unit seems to be broken. I was very pleased with my move. Cindy and her husband was very polite and helpful as well as patient. I felt very comfortable knowing they live on the property as well. I would recommend here to anyone.